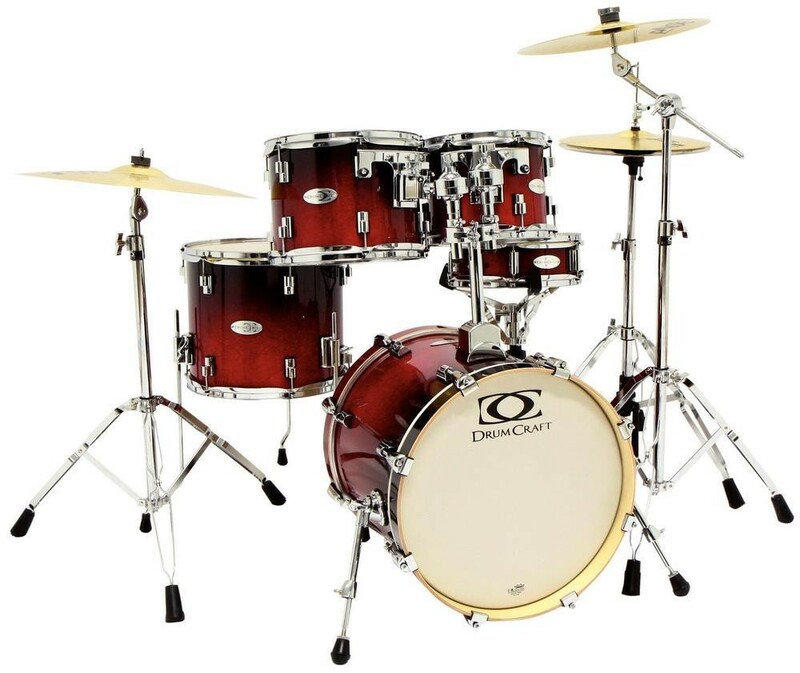 There are a few conflicting theories on why a jazz kit requires an 18″ bass drum. Some claim it stems back to the necessity of squeezing it in the trunk of an old NY Yellow cab. Another theory revolving around physical dimensions is to minimize the footprint so as to make room for a three piece in the corner of a smoky basement club in Chicago, or San Diego. 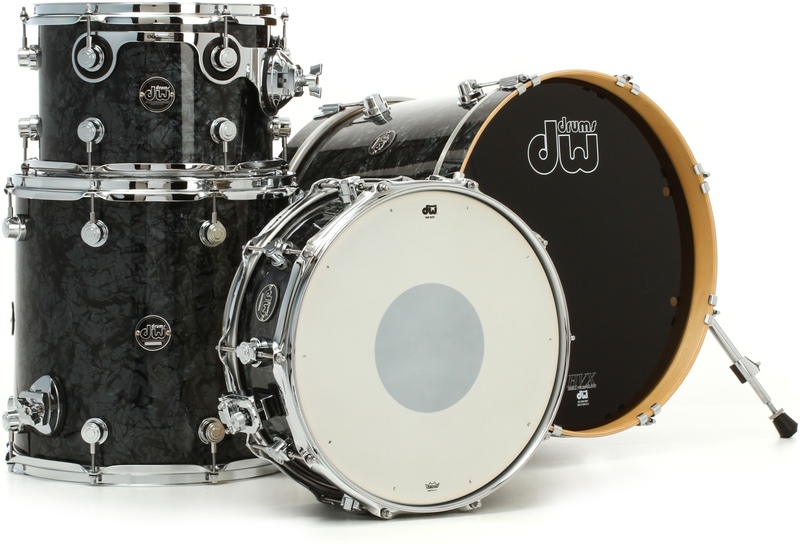 Of course looking at some of the biggest names in jazz drumming today that play 18″ bass drums even though they don’t have the space constraints, indicates that physical dimensions aren’t the real reason, or at least not the sole real reason. Peter Erskine, illy Hart, Ralph Peterson, Brian Blade, Carl Allen, Rashied Ali, Joey Baron, Ed Thigpen, Jimmy Cobb, Jeff Hamilton,Elvin Jones, Steve Smith, Jack DeJohnette, Hamid Drake, Herlin Riley, Kenny Washington, Eric Harland, B Jeff “Tain” Watts, Cindy Blackman, Art Blakey, Lewis Nash, Clayton Cameron, John Riley, Bill Stewart, Billy Higgins, All 18″ bass drum players, that likely don’t lug their gear around themselves, or are concerned with how much space their kit takes up on stage. Here’s a more believable theory; A larger bass drum interferes sonically with an upright bass. 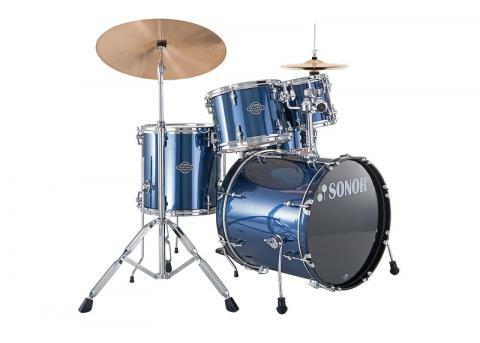 Or rather, the lower tuning of the entire kit with a larger bass drum competes with said bass. This along with the greater ability to moderate the volume of a smaller bass drum to blend in easier in the low key, smooth, groovy jazz that is most popular by numbers. None of this of course applies to Big band jazz with lots of wind instruments and often quite “meaty”. 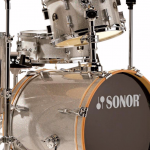 Simply put, the higher tuning and dynamic range along with increased volume control allows the drummer to compliment rather than compete with the bassist. Personally, I prefer the way they sound and I’m a believer that this is the reason for at least a few of the great drummers in the above list. 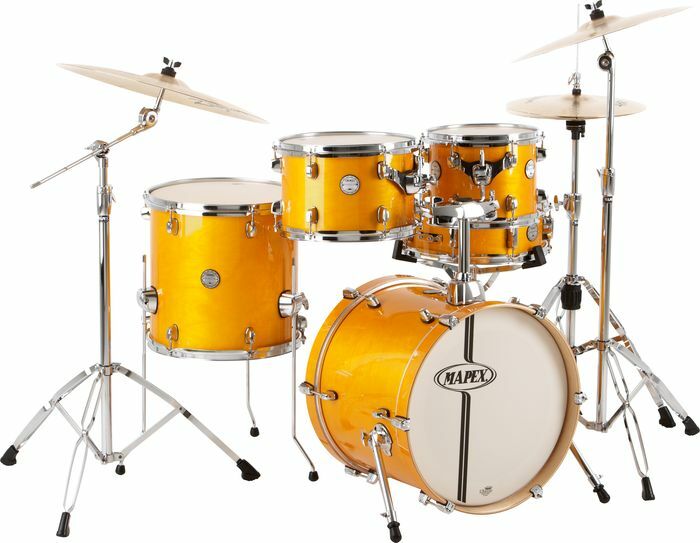 Regardless of the reason, let’s move on to our Jazz / Bop Drum Kit Roundup. Here they are, the best, the worst, the prettiest and the ugliest, as well as the cheapest and the most expensive. Listed in no particular order but with meticulous attention to detail. 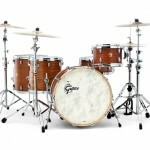 Broadkaster 18″ Modern Bop – Maple/Poplar/Maple shells finished with classic Gretsch Silver Sealer inside. reverse roundover bearing edge on the bass drums and toms. Snare drums are finished with Gretsch’s traditional 30º bearing edge. 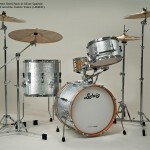 Outfitted with 3.0mm, double flanged steel hoops and Gretsch heads by Remo. 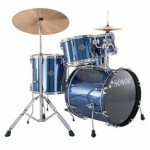 Sizes are: Bass: 18 X 14, Rack Tom: 12 X 8, Floor Tom: 14 X 14 and Wood Snare: 14 X 5. Available in four groovy finishes. 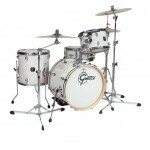 Gretsch 125th Anniversary Progressive Bop – Modeled after Gretsch’s eternally classic Be-bop configuration, this set conjures the essence of the many great Gretsch jazz masters. 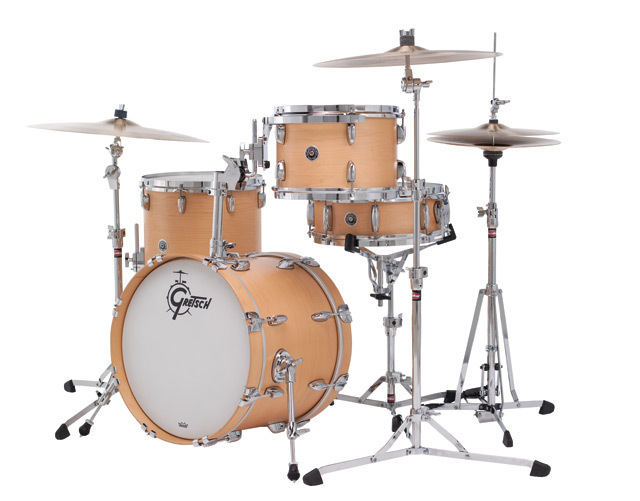 The Progressive Bop kit features classic 6-ply USA Custom shells, the same shells Gretsch has been using since the late 1950’s. Also included: Traditional be-bop sizes, mounted 12″ toms, Gretsch Round Badge, Cadillac Green finish. The bass drum is finished with silver sparkle inlay and vintage T-rods and has a silver 125th logo affixed to the shell underneath the lacquer. Only 125 of these limited kits will be produced. 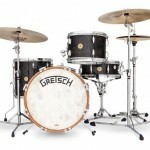 Brooklyn – Gretsch drums were born in Brooklyn, New York in 1883. 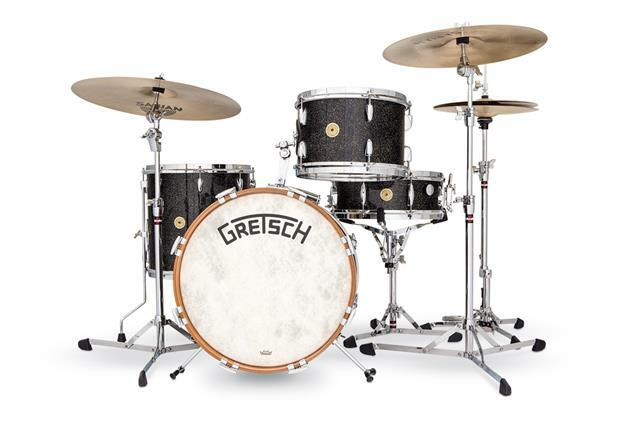 Gretsch Brooklyn has a sound that is at once recognizable and essential, yet distinctively reinvented. shaping a sound that retains fundamental Gretsch characteristics while projecting a fresh voice. Sizes are: Bass: 18 X 14, Rack Tom: 12 X 8, Floor Tom: 14 X 14 and Wood Snare: 14 X 5. 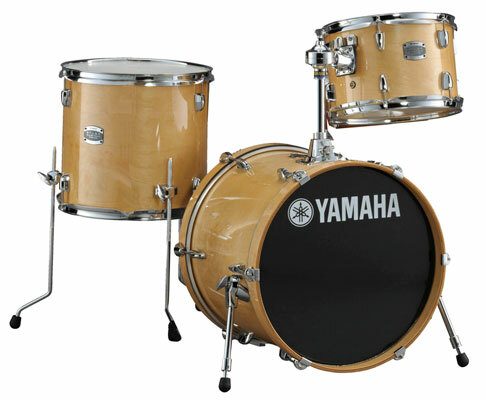 All in 6-ply Maple/Poplar with 30 degree bearing edges. Available in four satin lacquer and three wrap finishes. 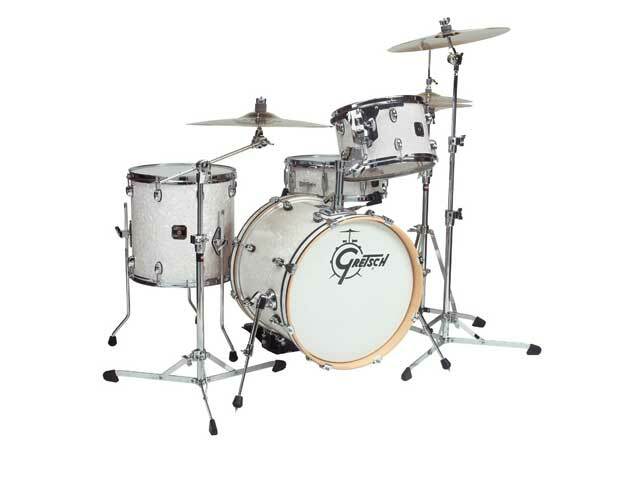 New Classic – Featuring proportionate Gretsch-formula maple shells, this drum-set produces a vintage Gretsch tonality while giving these drums their own distinctive sound. Proportionate shells increase in thickness as shell diameters increase to give a full, balanced tonality across the entire drum set. 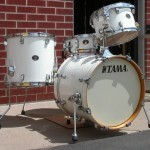 Sold as a three-piece set in sizes: Bass: 18 X 14, Rack Tom: 12 X 8, Floor Tom: 14 X 14. Available in four finishes. 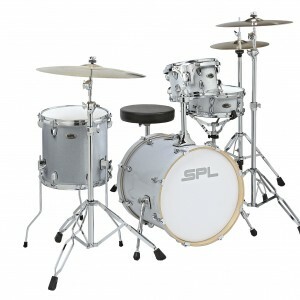 SE Bop Kit – Premium 8-ply (Bass and snare) and 6-ply (toms), basswood shells provide a warm, focused tone. 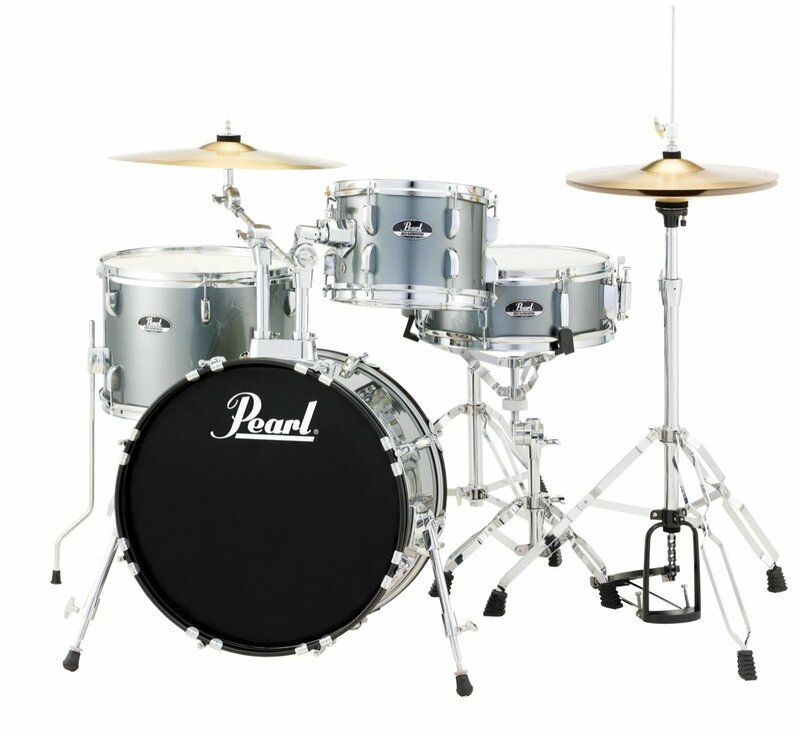 Low mass hardware allows for minimal shell contact, while the bass drum lift allows for a truly versatile tone from the 18″ kick. 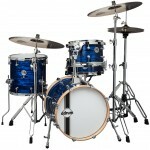 Sizes are: Bass: 18 X 14, Rack Tom: 12 X 8, Floor Tom: 14 X 14 and Wood Snare: 14 X 5.5. Available in blue or white pearl wrap. 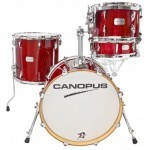 Includes bass drum mounted tom holder for minimal set up footprint. Paladin Maple Speakeasy – The classic, bright voice of maple is enhanced with limited edition 4-ply tom shells, and 6-ply Vintageblend bass and snare drum shells. 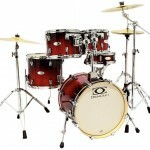 Sizes are: Bass: 18 X 14, Rack Tom: 12 X 8, Floor Tom: 14 X 14 and Wood Snare: 14 X 5. Paladin’s maple/poplar bass drum is deep, punchy, and fitted with ddrum’s patented Resolifts… allowing unimpeded resonance. Available in six lacquer finishes. Paladin Walnut Speakeasy – The dark tone of walnut is a delight to record. Paladin Walnut’s limited edition four-ply tom shells resonate, without losing focus. 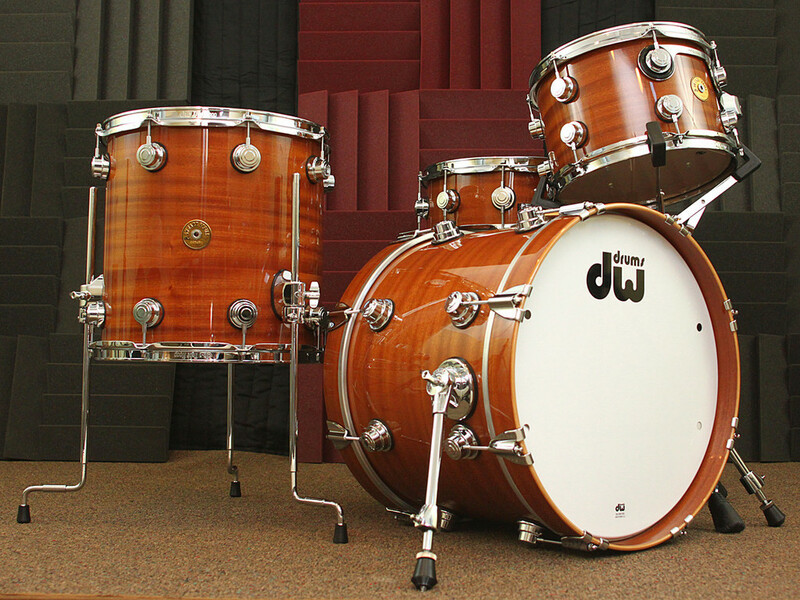 The walnut/poplar Vintageblend bass drum has low end for days! Sizes are: Bass: 18 X 14, Rack Tom: 12 X 8, Floor Tom: 14 X 14 and Wood Snare: 14 X 5. 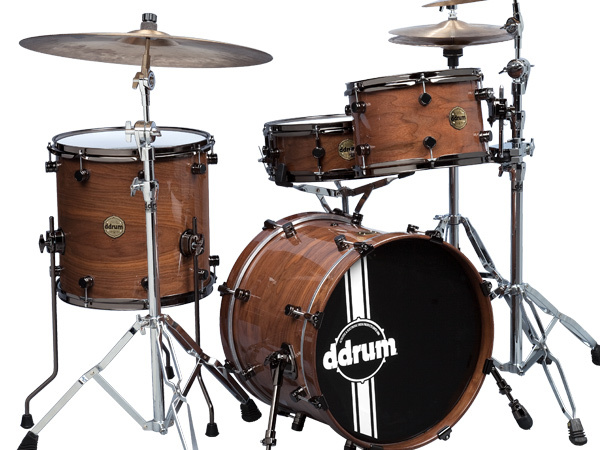 Available in three lacquer finishes with Face-off lugs, 2.3mm steel hoops, matching bass drum hoops,walnut/poplar 8-ply bass drum & snare drums. 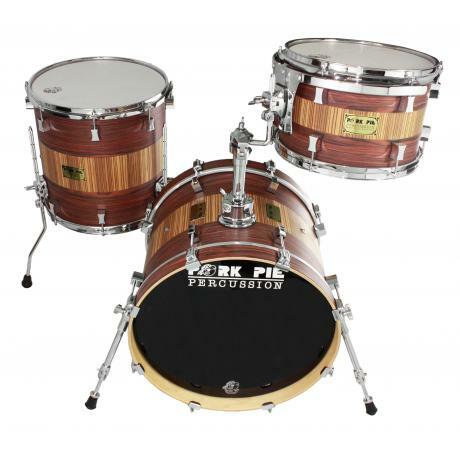 USA Bop 3-Piece Rosewood Zebrawood – Pork Pie’s USA Bop 3-Piece Drum Set Shell Pack features shells made of USA Hard Rock Maple, with an organically pretty Rosewood/Zebrawood satin oil finish that looks like it could have come straight out of a California winery. 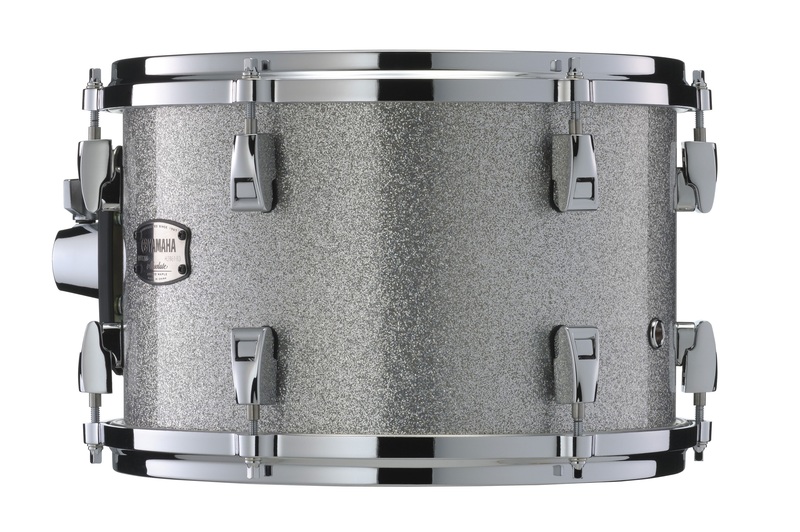 These drums have precision-cut bearing edges, 2.3mm hoops, lugs that are exclusive to Pork Pie, and Remo heads. Bass: 18 X 16, Rack Tom: 12 X 8, Floor Tom: 14 X 14. 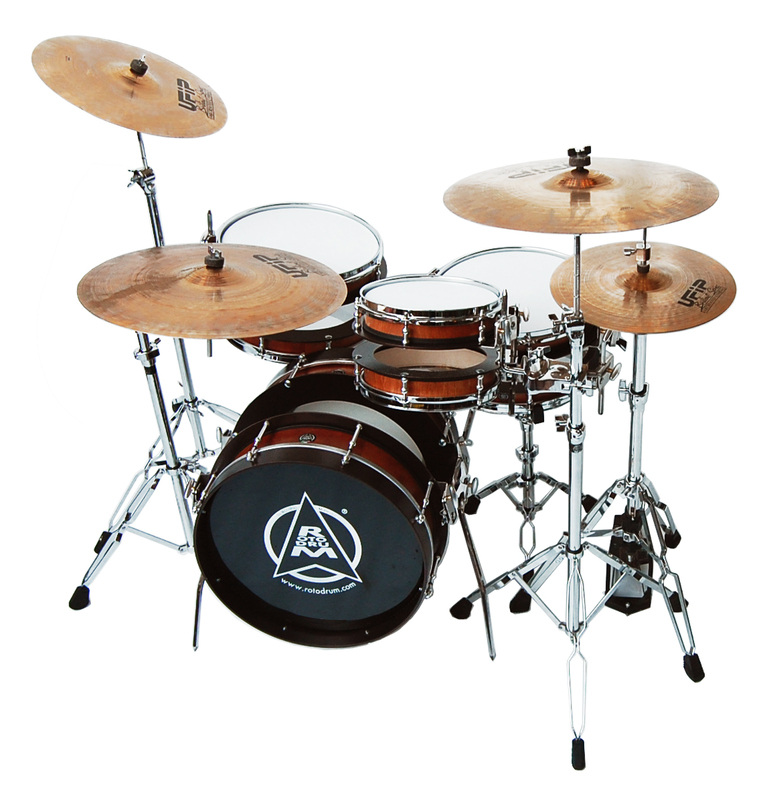 Imperialstar Bop Kit – 100% poplar 8ply, 7.5mm shells with precise bearing edges. Available in six wrapped finishes which are glued to the shell 100% to eliminate warping, buzzing or lifting. 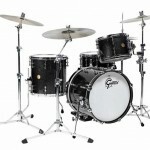 Sizes are Bass: 18 X 14, Rack Tom: 12 X 8, Floor Tom: 14 X 14 and Wood Snare: 14 X 5, and comes with a bass drum lifter. Imperialstar lugs are 10% smaller than the lugs of the previous Swingstar Series for even greater shell resonance. 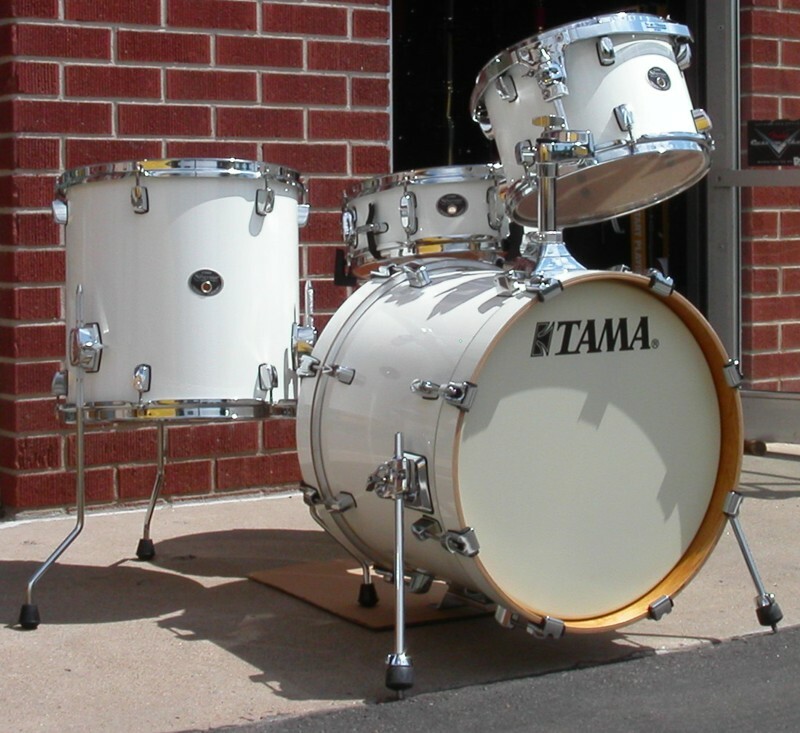 Silverstar Custom Bop – Silverstar drums deliver the sound you expect from fine vintage drums, combined with the quality you expect from TAMA – all at a price that’s well within reach. 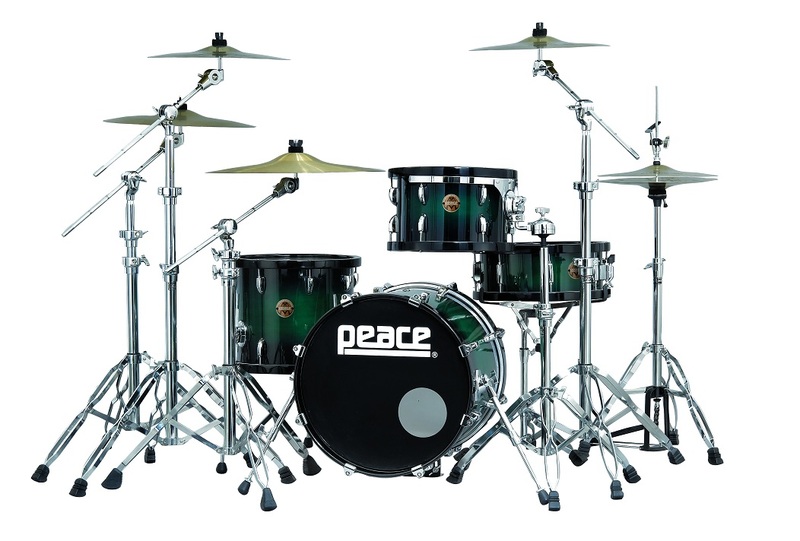 Birch shells, Triple Flanged Hoops, Star-Mounting system, and a slidable tom holder make it the ideal choice for drummers looking for creative inspiration. Sizes are Bass: 18 X 14, Rack Tom: 12 X 8, Floor Tom: 14 X 14 and Wood Snare: 14 X 5. Comes with Bass Drum Riser. Canopus Yaiba ‘Bop Kit’ – The New YAIBA Bop Kit is the result of our research into finding the perfect shell type to suit specific sonic and stylistic requirements. We settled maple for the Bop kit . Our commitment to producing the ideal sound led us to this decision to use different shell types within one series. 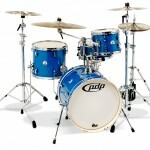 Sizes are: Bass: 18 X 14, Rack Tom: 12 X 8, Floor Tom: 14 X 14 and wood Snare: 14 X 5.5. Available in four lacquer finishes. 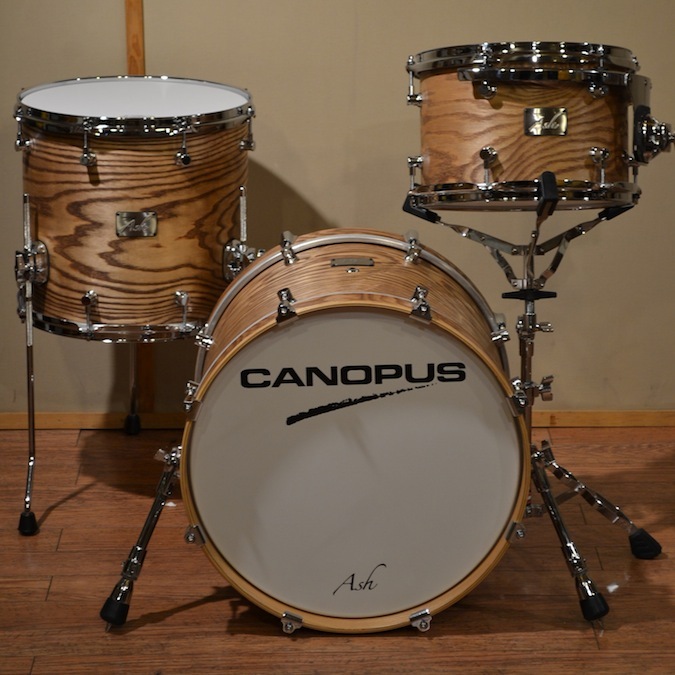 Ash Standard Kit – We have combined the ash material with poplar and, using Canopus’ original processing technique for the bearing edges, this has enabled us to create a drum sound with a “seasoned taste” to it. 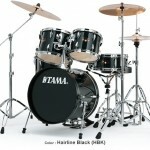 Sizes are: Bass: 18 X 14, Rack Tom: 12 X 8, Floor Tom: 14 X 13. Furthermore, the natural beauty of the ash woodgrain, when colored, is particularly attractive. 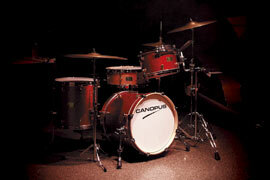 Canopus R.F.M. Bop Kit – The Bop R.F.M. 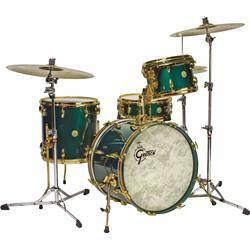 (Reinforced Maple) Kit sizes are: 14″ x 18″ bass drum; 8″ x 12″ tom-tom; 13″ x 14″ floor tom-tom. Canopus utilizes different reinforcement construction as well as different shell construction. The result is the R.F.M. series that has a bright, solid sound with enough mid-range tone and resonance. Available in six oil, eight wrap and four lacquer finishes. 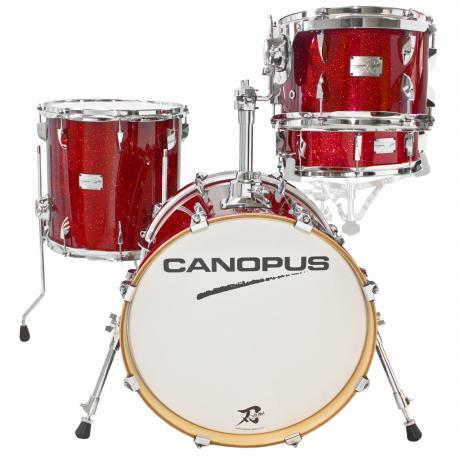 Canopus Neo Vintage M1 Kit – Our shell design for the M1 is a result of analyzing the drum sound that dominated the jazz world in the 1960’s. 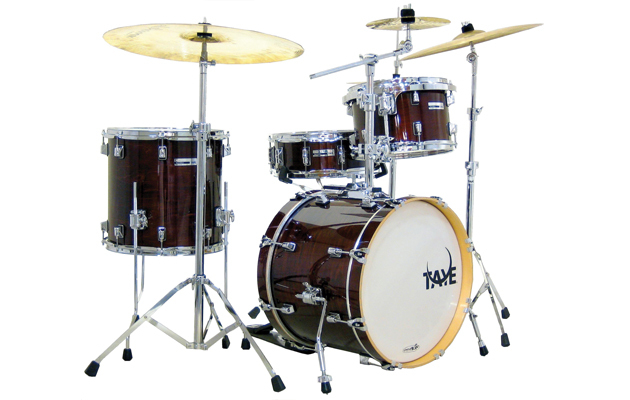 Our shell construction consists of maple and poplar in 7 ply (for TT/FT) and 10 ply (for BD). 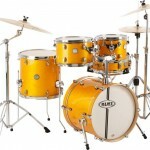 The Standard Kit (Bop) configuration is: 14″ x18″ Bass Drum, 8″ x 12″ Tom, 14″ x 14″ Floor Tom. Available in six oil, eight wrap and four lacquer finishes. 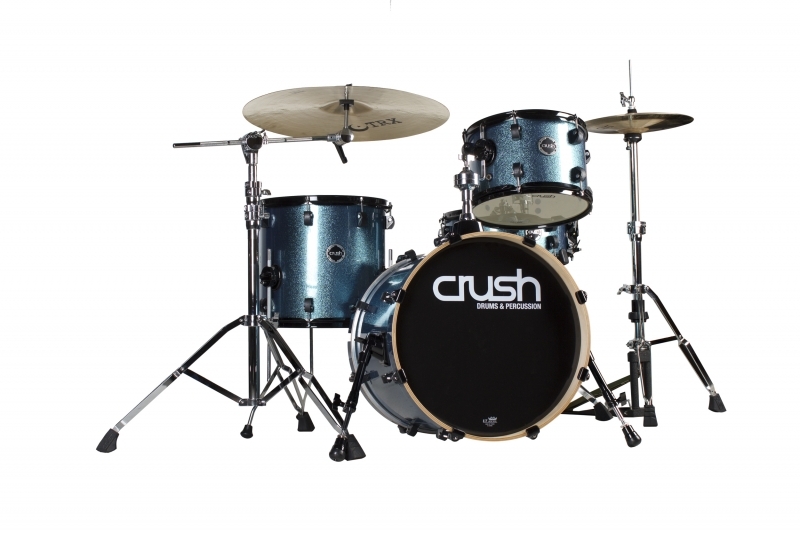 Chameleon Bop – 6 ply Birch/Basswood Shells, Light Blue Sparkle Wrap, Double 45 Degree Bearing Edges, Lift Included, Reverse Flange Snare Drum Hoops, Black Powder Coated Hardware and Hoops, Birch Bass Drum Hoops with Matching Finish. Sizes are Bass: 18 X 16, Rack Tom: 12 X 8, Floor Tom: 14 X 13 and Wood Snare: 14 X 6. Whether your needs are genre-specific or just an easier transoport option, this kit has great features including a lift included right in the box! 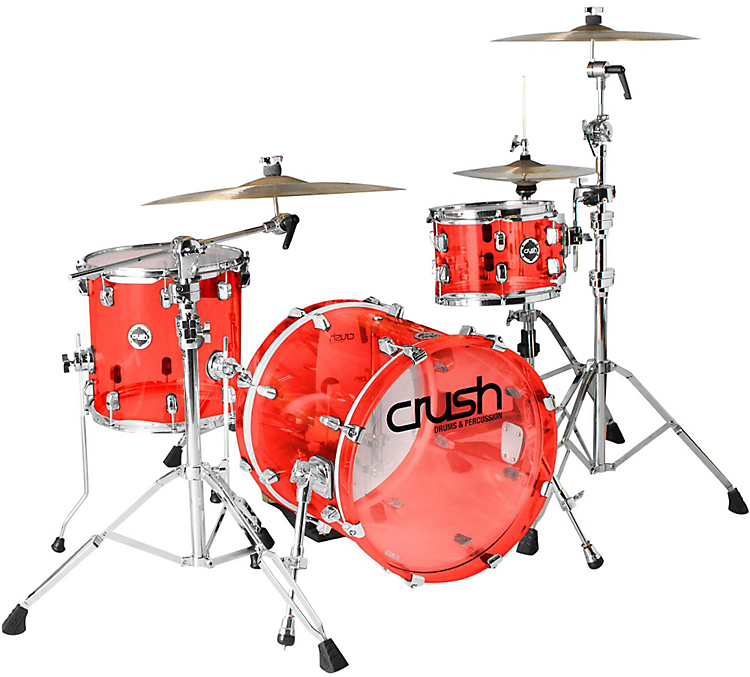 Acrylic Bop 3-Piece – The Crush Acrylic drum set features 100% seamless acrylic shells. While many other competitors use acrylic industrial piping for their shells, we have created our own unique construction process. This process not only increases the strength of the shell, but refines the overall tone. 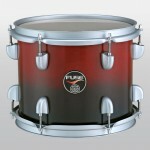 The result is an added warmth not traditionally found in standard acrylic drums. These drums are very resonant with a quick decay. 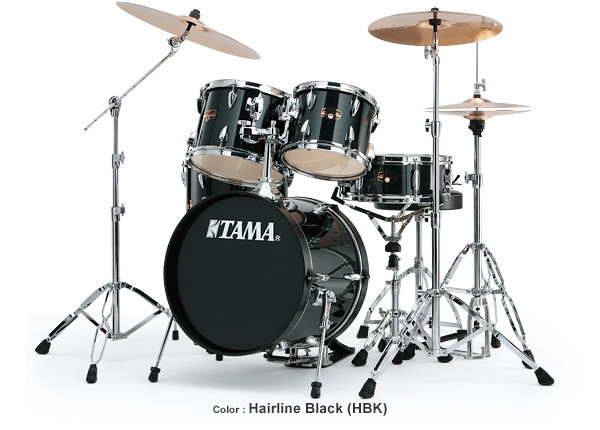 Sizes are Bass: 18 X 16, Rack Tom: 10 X 7, Floor Tom: 13 X 13. Available in Clear or Red. New Yorker – Created nearly a decade ago as a portable DW Custom Shop kit, the New Yorker is now available as a stylish, yet price-conscious kit for the student or working drummer. All poplar shell and a low mass “Teardrop” Mini Turret Lug make it lightweight and travel-friendly. Other features include True-Pitch tuning, Remo heads, full-sized bass drum mount with auxiliary clamp. 8×10″ Rack Tom, 12×13″² Floor Tom, 14×18″ Bass Drum, 6×13″ Snare Drum. Available in two sparkle wrap finishes. 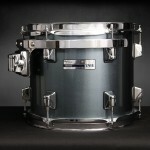 Series 5 18″ Jazz – Comes with an 18″ X 16″ Bass drum, 10″ X 7″ and 12″ X 8″ tom toms, 14″ X 12″ Floor tom and a 12″ X 4″ Snare. 6-ply Birch / Popplar hybrid Shell construction. Series 5 shells are crafted with a combination of woods to keep them economically and sonically balanced. 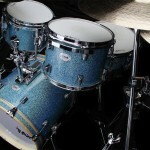 These drums are easy to tune and work well for upcoming drummers. the list price of $1,800 and street of roughly $1,000 includes hardware. Available in four lacquer finishes. 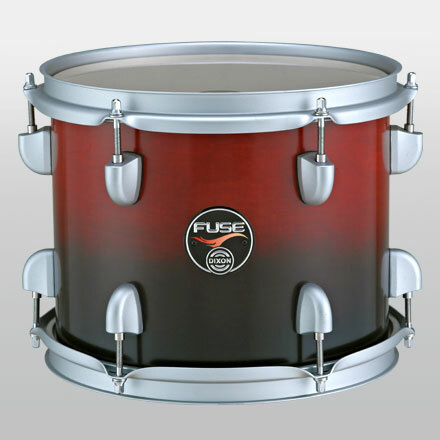 FUSE Profile Maple – On the inside, Profile Maple’s 6-ply shell combines both maple and mahogany hardwoods for a warm, controlled sound with a mid to low-fundamental and great versatility, while the outside features stunning gloss finishes applied by hand to one of Profile Maple’s 3 maple plies. 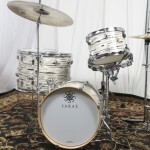 Sizes are: Bass Drum 16×18”, Tom 9×12”, Floor Tom 13×14”, Snare drum 5.5×14”. Available in two lacquer finishes. FUSE Profile Cherry – On the inside, Profile Cherry‘s 6-ply shell combines both cherry and mahogany hardwoods for a full, punchy sound with a mid-fundamental and great projection, while the outside features rich satin finishes applied by hand to one of Profile Cherry’s 3 cherry wood plies. 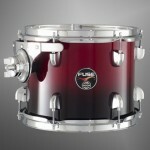 Available in four satin lacquer finishes and in the same sizes as the Profile Maple above. 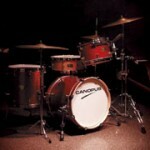 AvanTime III – JAZZ KIT – RotodruM are all handmade drums. Each piece is built by craftsmen select with care far their skill. A set of drums without limits, ready to accommodate any musical direction. 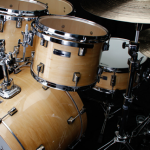 Drum shells are made in three layers of wood (maple, poplar, maple). 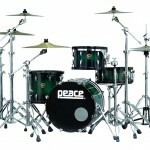 Sizes are: 18″ Bass Drum, 10″ Tom, 14″ Floor Tom, 14″ Snare. With varying depth and tuning you can play every musical style in every situation. With AvanTime you’ll have also the opportunity to position any microphone on the inside of the drums. 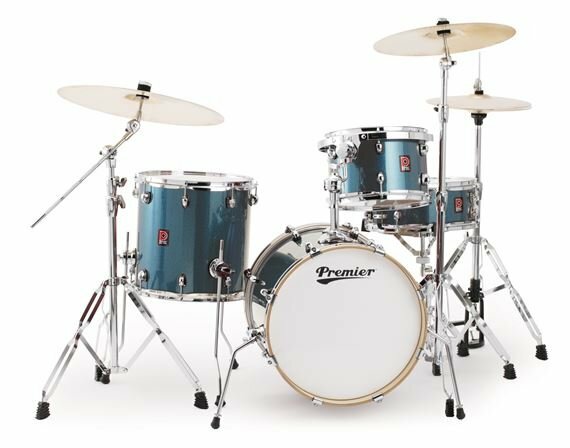 Club Date Special Edition Jazette – Dual-tension lugs reduce the amount of weight on each shell, allowing the drums to speak with delecate subtlety at the slightest touch, and open further as played. Available in four sparkle finishes. 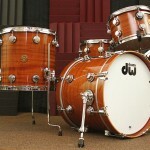 Sizes are Bass: 18 X 14, Rack Tom: 12 X 8, Floor Tom: 14 X 14, In 6-ply Cherry/Gumwood with roundover bearing edges. 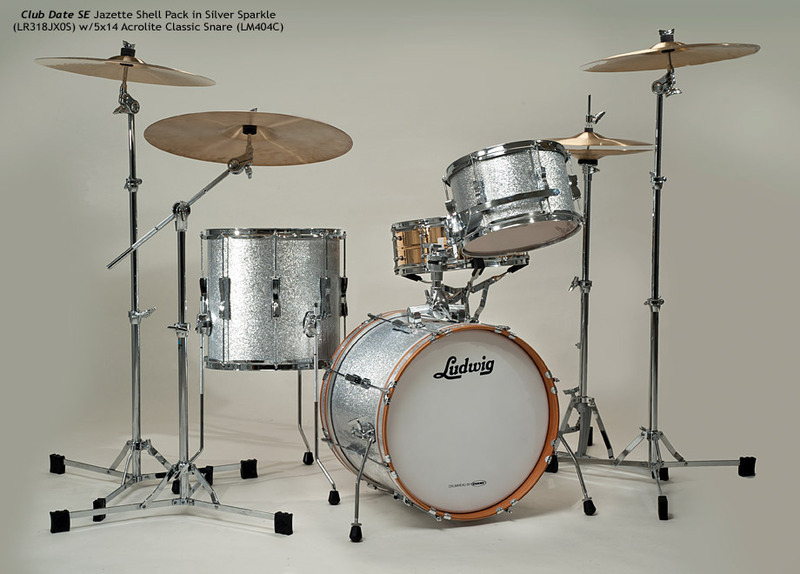 Excellent for gigging vintage drum collectors with an ear for classic Ludwig sound. 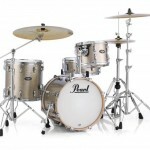 Ascent series Jazz Set – Marks the revival of the famous Beech shell construction. 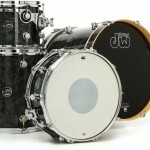 Thin, 7-ply, Beech shells for bass drums and thick, 9-ply Beech shells for snare drums, tom toms and floor toms. The result is a full rich tone, powerful and clear. Available in eight lacquer finishes. 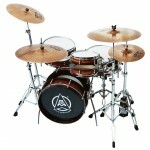 Ascent series is the perfect symbiosis between the Select Force and ProLite series of Drum sets. Any player, any style will appreciate the timeless quality and tremendous sound. Sizes are Bass: 18 X 14, Rack Tom: 12 X 8, Floor Tom: 14 X 14 and Wood Snare: 14 X 6.5. Smart Force series Combo Set – Designed especially for beginners at an uncompromisingly attractive price. Extremely interesting for all up-and-coming rockers, jazz cats, enthusiasts of metal or the blues. Sizes are Bass: 18 x 16, Rack Toms: 10 x 8, 12 x 9, Floor Tom: 14 x 14, Wood Snare: 14′ x 5,5. Available in three subtle wrap finishes. 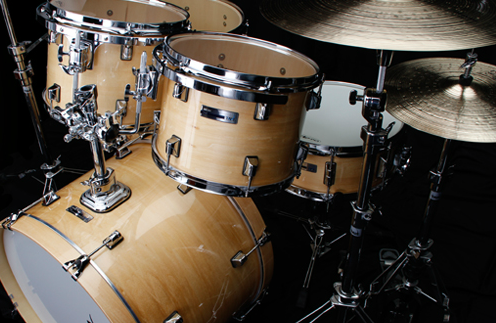 The 9-ply Poplar shells deliver maximum strength, perfect curving, and neutral tuning. Bop – A swing-sized shell pack for the weekend jazz cat. 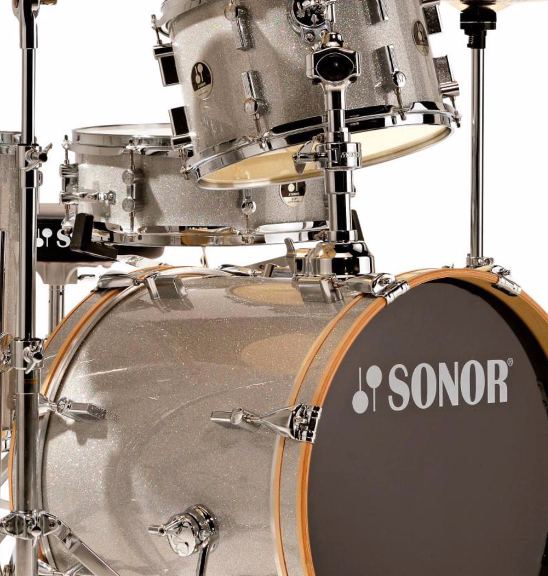 Made to exact specifications, the Sonor BOP 4-Piece Shell Pack provides that great Sonor feel and superb quality in Jazz sizes. 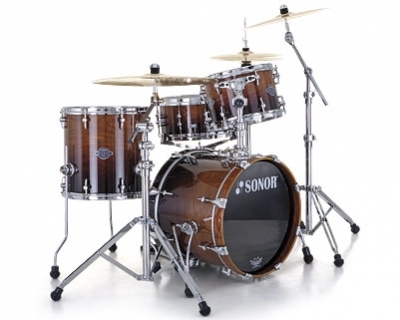 The cross-laminated shells provide superior stiffness and a 45-degree bearing edge for that signature Sonor sound. A full-sized snare rounds out this great shell pack. This 4-piece shell kit has a tiny footprint which means quick setup and pack-up times. Sizes are Bass: 18 X 14, Rack Tom: 12 X 8, Floor Tom: 14 X 14 and Wood Snare: 14 X 5. Roadshow – The right gear is essential for setting it free. 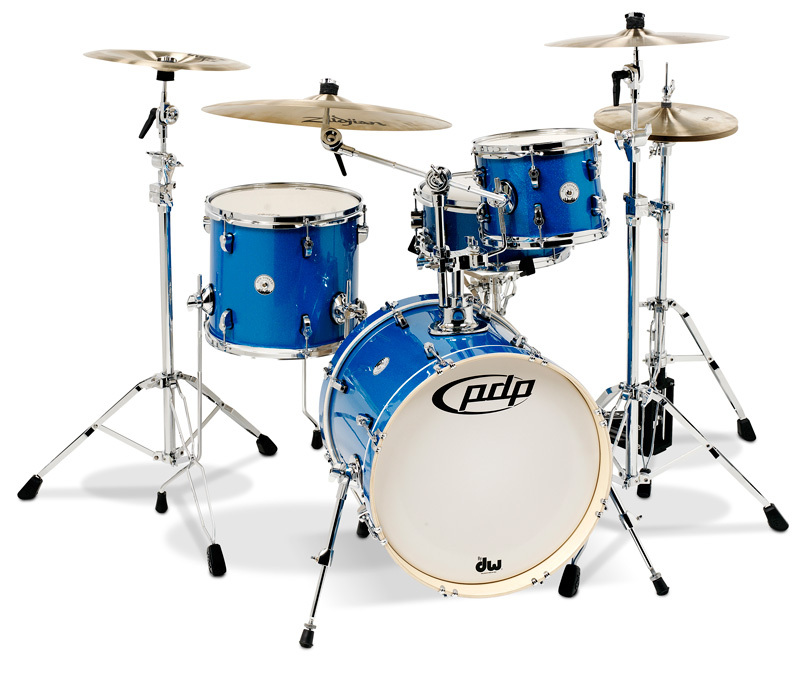 No toys or hand-me-downs; a new, complete drum set package with everything you need to start your rhythmic journey to the big time. 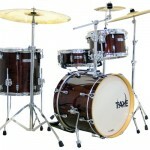 Sizes are: Bass: 18 X 12, Rack Tom: 10 X 7, Floor Tom: 14 X 10 and Wood Snare: 13 X 5. 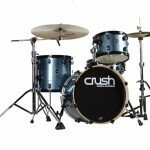 The Roadshow kit also comes with a 16″ Crash/Ride, 14″ Hi Hats, Hi Hats stand, boom cymbal holder, pedal and snare stand. Available in four wrap finishes. 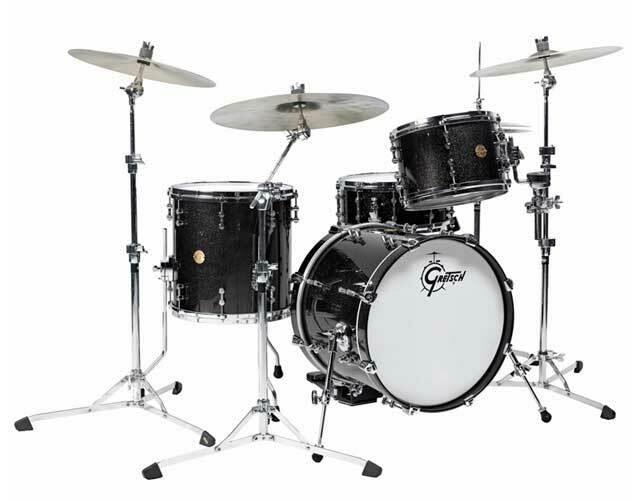 Performance Finish Ply Series 4-piece Bop – Custom-inspired, with a new Quarter Turret lug, low mass die-cast claw hook, new badge, logo head and your choice of 4 ultra-durable FinishPly™ finishes. 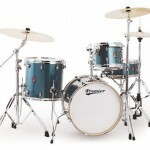 Sizes are: Bass: 18 X 14, Rack Tom: 12 X 8, Floor Tom: 14 X 14 and Wood Snare: 14 X 5.5. All in 8-ply Rock Maple with 45 degree bearing edges. 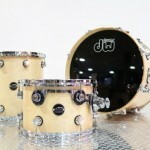 DW’s Performance Series: genuine DW drums, stunning value and punchy sound from HVX maple shells. 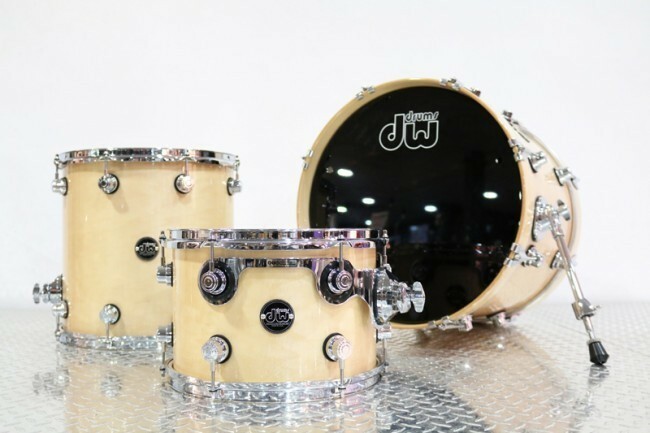 Performance Series 4 Piece Jazz Set – DW Performance Series North American Rock Maple HVX proprietary shells provide warm, projecting sound with deep, punchy fundamental tones. F.A.S.T. 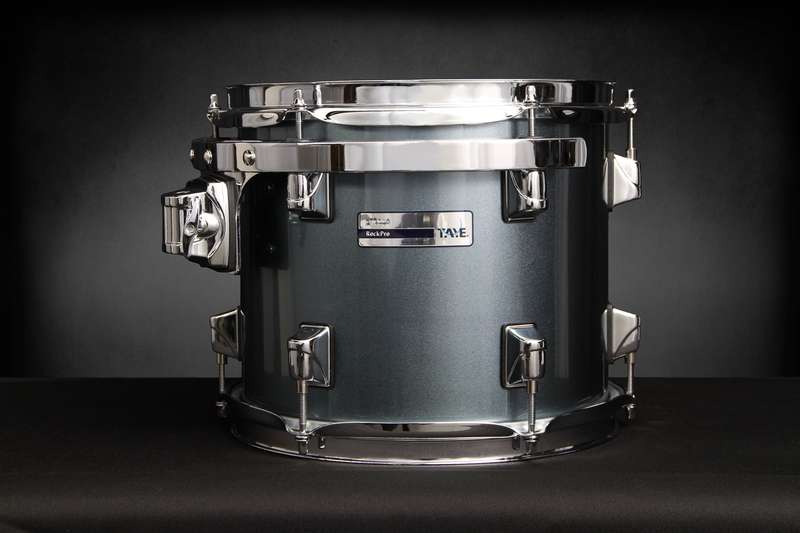 sized tom shells are optimized for superior sonic performance in the stage and studio. 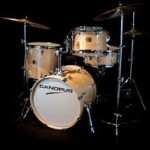 Sizes are: Bass: 18 X 14, Rack Tom: 12 X 8, Floor Tom: 14 X 14 and wood Snare: 14 X 5.5. Available in five lacquer and satin oil finishes. 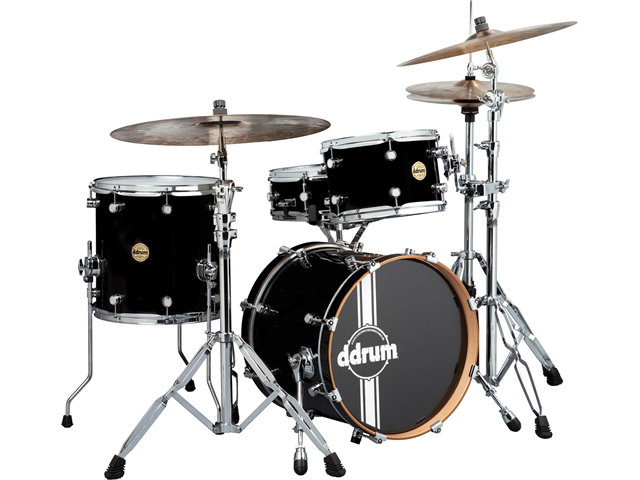 STM™ (Suspension Tom Mounts), True Pitch™ Tuning and DW 45 degree back-cut bearing edges, all make these drums sing. 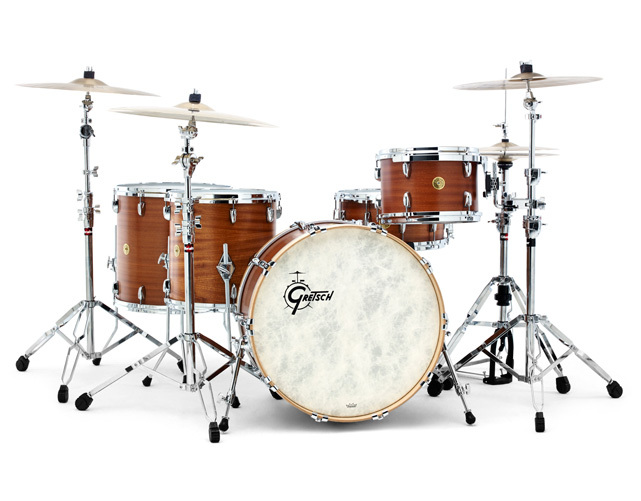 Jazz Series Mahogany/Gum Bop Kit – Jazz Series® drums provide a warm, tonal spectrum that is studio-friendly and perfectly suited for live applications. The Jazz Series shells feature a thick gumwood core that can be combined with maple, mahogany, or cherry inner and outer plies. 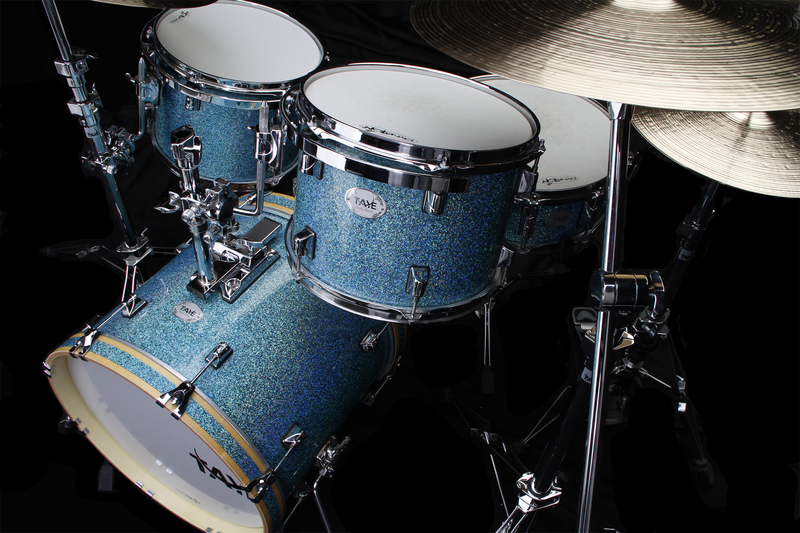 Jazz shells can also be customized with any available California Custom Shop finish and drum hardware color. Sizes are: Bass: 18 X 14, Rack Tom: 12 X 8, Floor Tom: 14 X 14 and Wood Snare: 14 X 5. 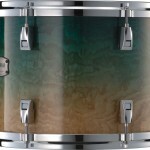 Stage Custom Birch Bebop – The shell is a key factor in a drum’s ability to “rumble,” or resonate. 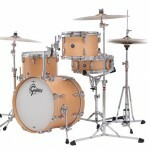 Accordingly, the Stage Custom employs 100% birch – a classic in the realm of high-class drum kits. Moreover, with its six-ply structure the Stage Custom accurately conveys the vibrations produced at the impact surface, achieving performance that overwhelms anything in its class. Sizes are: Bass: 18 X 15, Rack Tom: 12 X 8, Floor Tom: 14 X 13. Available in six lacquer finishes. PHX 18/12/14 – These prototypes are created in the Drum Laboratory where YAMAHA continually pursues the essence of musical perfection. The PHX (pronounced “phoenix”) Series is the pinnacle of excellence in this prototyping process. Handcrafted by our expert technicians, The newly developed PHX Series reveals YAMAHA’s all-out pursuit of the ultimate in drum craftmanship and sound. Bass: 18 X 14, Rack Tom: 12 X 8, Floor Tom: 14 X 13. Available in 9 amazing lacquer finishes. Absolute Hybrid Maple – Tonal requirements differ with dynamics, and change, from band to band, song to song. 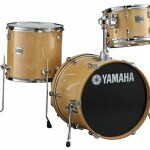 With the Absolute Hybrid Series drums, Yamaha has succeeded in addressing this, with a drum set allowing drummers to pursue a level of expression that perhaps they’ve not experience before in their other drums. 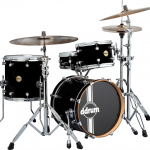 These drums offer a wide dynamic range that allows them to respond accurately to each and every stroke, and follow changes in dynamics, nuance, and touch. Bass: 18 X 14, Rack Tom: 12 X 8, Floor Tom: 14 X 13. 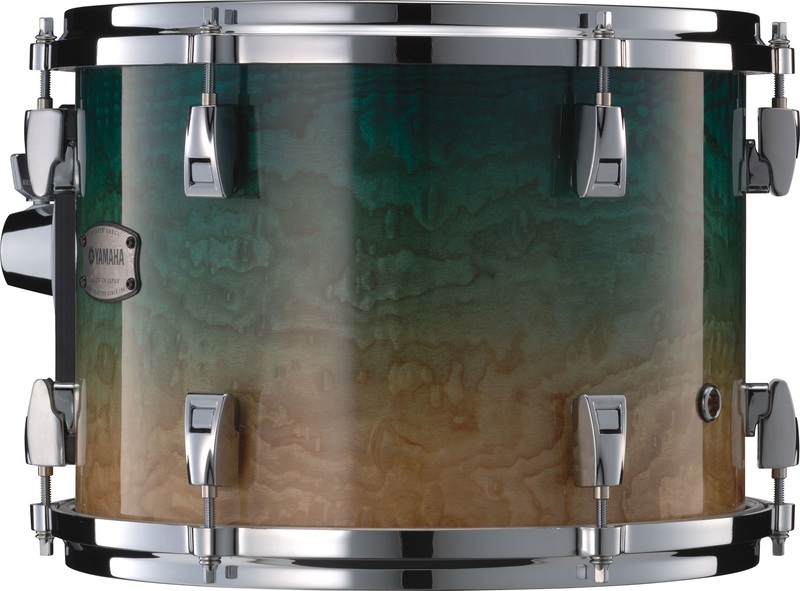 StudioMaple BeBop – hand-selected 100% North American Sugar Maple shells featuring EFS™ Shell Technology providing warm, well-rounded tone, with a balanced mix of bottom end punch, lower mid-range warmth, and hi-end attack. 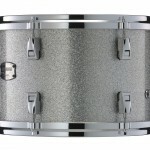 Tom and bass drum shells are extra thin, 6″ to 15″ are 6ply 4.5mm, and 16″ to 24″ are 7ply 5.3mm. Sizes are Bass: 18 X 14, Rack Tom: 12 X 8, Floor Tom: 14 X 14 and Wood Snare: 14 X 5. Available in three awesome finishes. 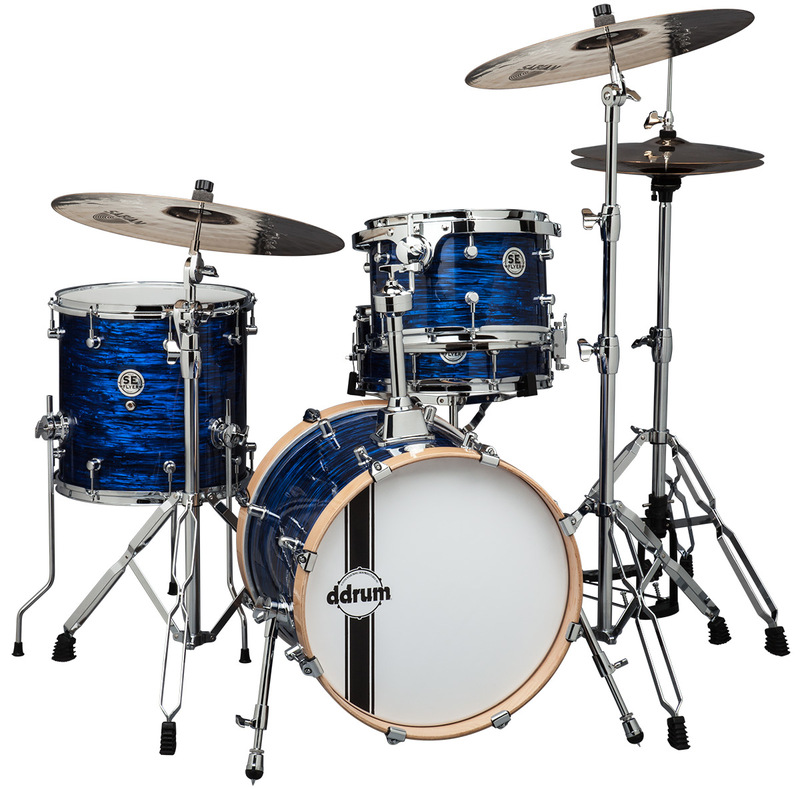 Horizon Birch Big City – The Mapex Horizon Big City Kit is ideal for clubs and shows where space is tight, loading needs to be quick and efficient and sounding your best is critical. 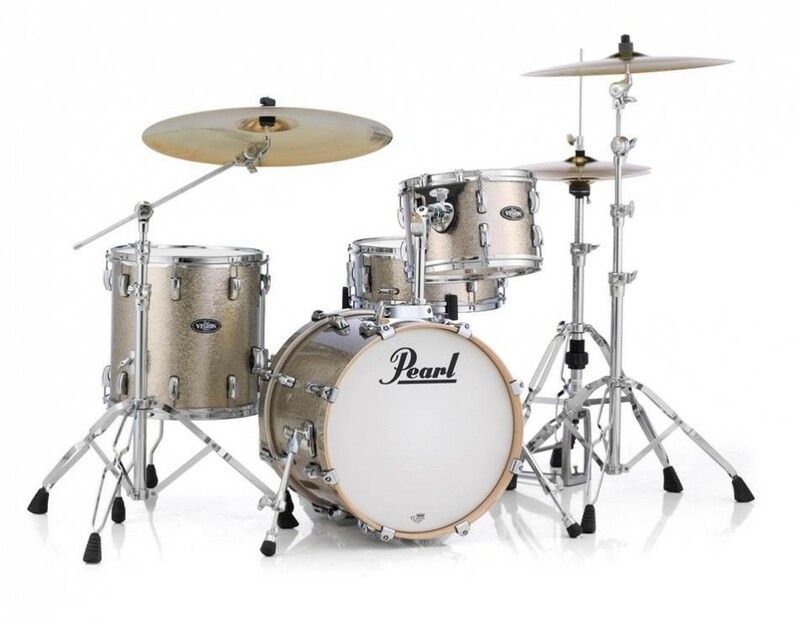 You’ll be completely knocked out by the tone and response that the birch and poplar shells deliver. 7.2mm, 6ply, Birch/Poplar Bass Drum, Tom & Snare Shells. 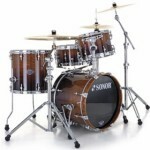 Sizes are: Bass: 18 X 14, Rack Toms: 10 X 8, 12 X 8, Floor Tom: 14 X 14, Wood Snare: 14 X 5. Available in three transparent lacquer finishes. 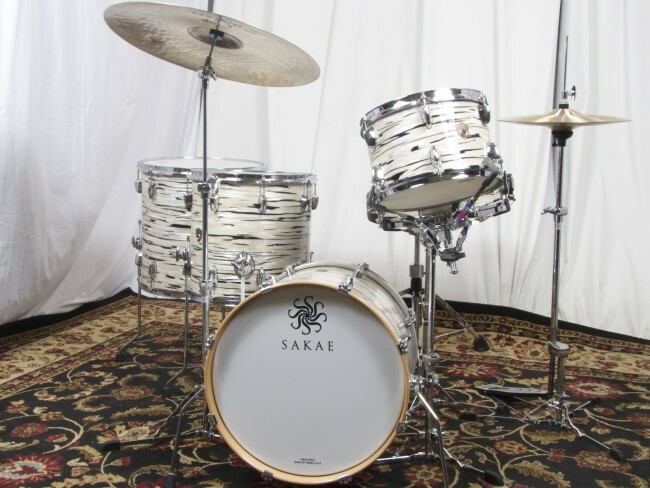 Trilogy Series Bop Kit – Sakae Drums is revisiting a legendary drum sound with the introduction of the Trilogy series. Sakae’s proprietary Maple/Poplar/Maple 3-ply shells are at the heart of Trilogy’s vintage sound. 4-ply North American Maple reinforcement rings at the top and bottom of the shell help to dry the sustain and keep the ultra-thin shell in round. Bass: 18 X 14, Rack Tom: 12 X 8, Floor Tom: 14 X 14 and wood Snare: 14 X 5.5. Available in 12 wrap finishes. Velocity Street Bop – High-quality drums and smaller configuration open up a world of options, from small gigs to rehearsals to street jams. 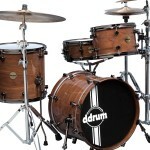 Any drummer will love the one-up-one-down classic style with birch and basswood construction. Strong highs and defined lows make this an excellent recording kit too. 18” x 16 “bass drum with matching wood hoops, 10” x 7” mounted tom with suspension mount, 13” x 13” floor tom, 13” x 5’ matching wood snare drum. Available in Silver wrap.